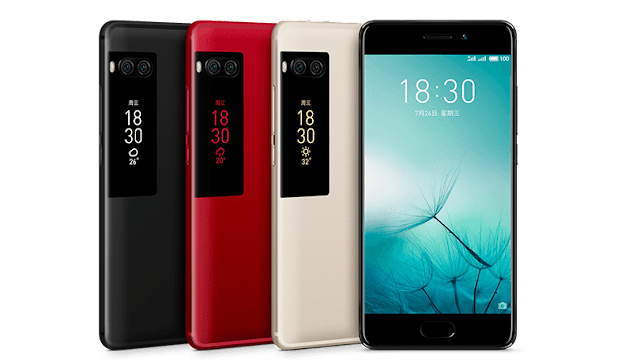 Meizu has launched its newest lineup of smartphones in Pakistan. Their new offerings include the Meizu Pro 7 and 7 Plus along with the standard Meizu M6 and M6 Note. These feature-rich smart-phones come with a local warranty from Green Tech’s distribution and customer care network. Meizu M6, based on ‘Better selfies with slimmer body’ is the most affordable model with 3GB RAM and 32GB storage as well as a fingerprint sensor. The M6 has a 5.2 inch IPS display, an 8 MP front camera with Arcsoft selfie enhancement, a 13 MP with dual tone LED flash and multi-frame noise reduction. It also supports dual SIM/ LTE and has a 1.5 GHz octa-core processor, Android 7.0 (Nougat) and a 3070 mAh (non-removable) battery, with a retail price of Rs. 18,999/-. The Meizu M6 Note comes with a 5.5″ IPS LCD Full HD screen, 4 GB RAM & 64 GB storage and a 2.0 GHz Qualcomm octa-core processor. For the cameras, it has a 16 MP Front facing shooter with f/2.0 aperture, Dual 12 + 5 MP rear cameras with f/1.9 & f/2.0 aperture as well as a quad LED flash. Like the M6, the M6 Note also supports dual SIM/ LTE, Android 7.0 (Nougat), a 4000 mAh battery and a fingerprint sensor on the front. Meizu Pro 7 is styled as “Pakistan’s first ever dual touch dual screen smartphone”. It has a 5.2″ IPS Super AMOLED screen, 4 GB RAM & 64GB storage. It is powered by an octa-core MediaTek Helio P25 processor. At the front, it has a 16 MP camera with f/2.0 aperture, while on the back are dual 12 MP rear camera with f/1.9 aperture and dual tone LED flash. You can also snap a selfie with the secondary display on the back. 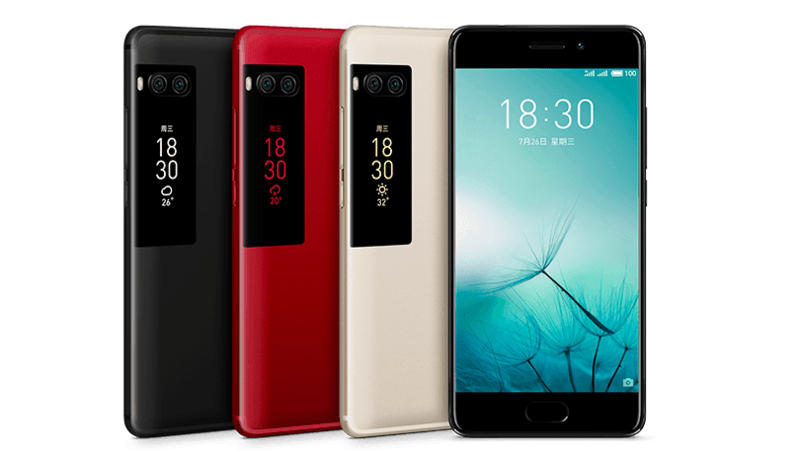 The all-new Meizu Pro 7 Plus features a 5.7″ IPS Super AMOLED screen, 6 GB RAM & 64GB storage as well as a deca-core processor. Like the previous Meizu phones, the Pro 7 Plus has a 16 MP f/2.0 front camera and dual 12 MP rear cameras. It also lets you take selfies with a secondary display on the back, like the Pro 7. Dual SIM, as well as 4G support, is native along with Android 7.0 Nougat.